Our locally-owned company has a passion for beautiful cabinetry and hands-on customer service. We’ll work with you to come up with a new, functional space that fits your budget. The entire process is efficient, and we are there to help the entire way taking your project from concept to reality. Come see what we can design for you! We specialize in custom cabinetry for the kitchen, bathroom, laundry and more, plus custom countertops and we do it with our free design services. We’ve got the top styles from the best brands in custom countertops. We carry engineered quartz countertops from Cambria and HanStone. Quartz offers the strength and beauty of natural stone with the ease of a manmade product. Our super durable solid surface countertops, from brands like Corian and LG Hi-Macs, are non-porous, stain resistant and fabricated in-house. We also offer several affordable laminate options, also fabricated in-house, from Formica and Wilsonart. These laminate options are designed in endless colors, patterns and woods, some are even writable. They are durable and easy to maintain. From bold to classic, our bathroom designs will inspire you. We offer custom bathroom vanities that are locally-made and built to last. There are a wide range of cabinets, perfect for all price ranges with endless door and finish options. Plus, these vanities are durable and easy to clean. A new, clean, tranquil space awaits﻿. We design laundry and mudrooms that offer both organization and function. With handmade, custom cabinetry options, these rooms become beautiful, usable spaces you’ll love to show off. 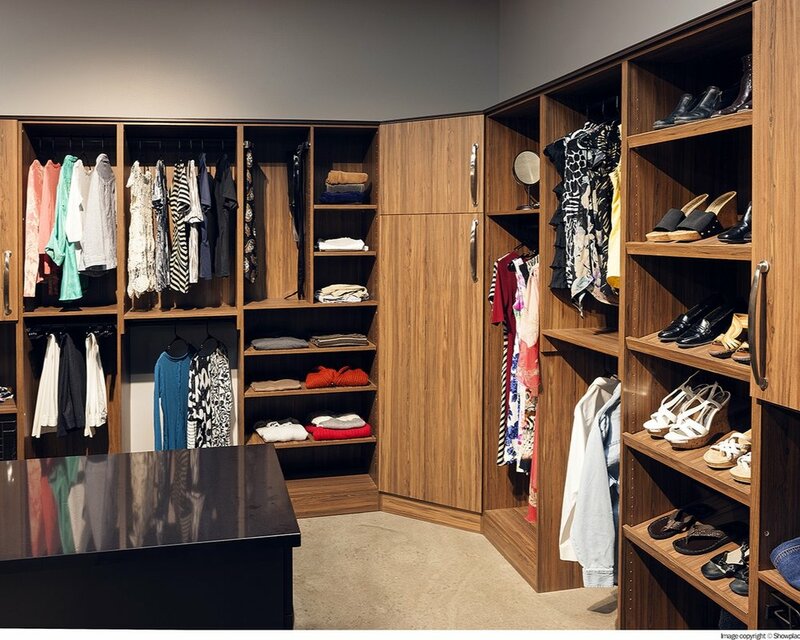 Step inside your walk-in closet for a space where everything has its place. 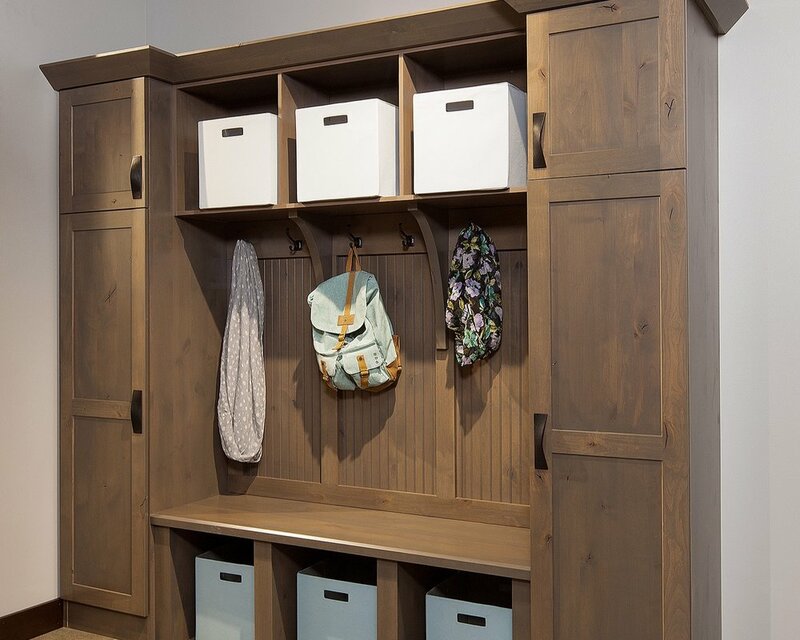 No matter the square footage, our custom closet solutions offer space-saving options like hanging areas, shelving, soft-close drawers and more. Our cabinetry extends to pantries as well. We have lots of options to give you the storage and organization solutions you need, including swing out shelves. Custom never looked and worked so well!